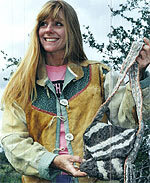 How To Play in the Woods by Robin Blankenship. Robin says, “Even though we know it’s good to get ourselves outside, with all the convenient and easy modern distractions available in the indoor environment, it’s tough to make the outdoor choice. 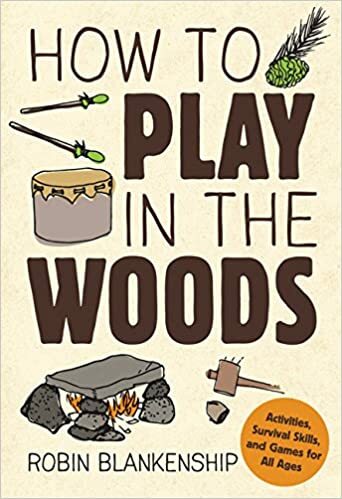 How To Play In The Woods gives so many easy and accessible activities and ideas about how to have fun out there, that it won’t take readers long to feel the motivation to head out the door. Besides health and enjoyment, I really wanted to remind readers of the unified relationship humans have had with nature throughout most of history, how it has formed who we are physically and mentally, and the rich heritage of living skills amassed by our ancestors. Ancient technologies are just as magical and amazing as modern technologies, and reincorporating a few of them back into our modern lifestyle would go a long way in re mediating many of our modern environmental and personal health maladies. Greater appreciation for this planet that sustains us and the wisdom of our ancestors is a lovely side effect of ‘getting out there’… and rubs off on our youth. Send a money order or check made payable to Robin Blankenship for $22.95 (includes shipping) to: Robin Blankenship P.O. 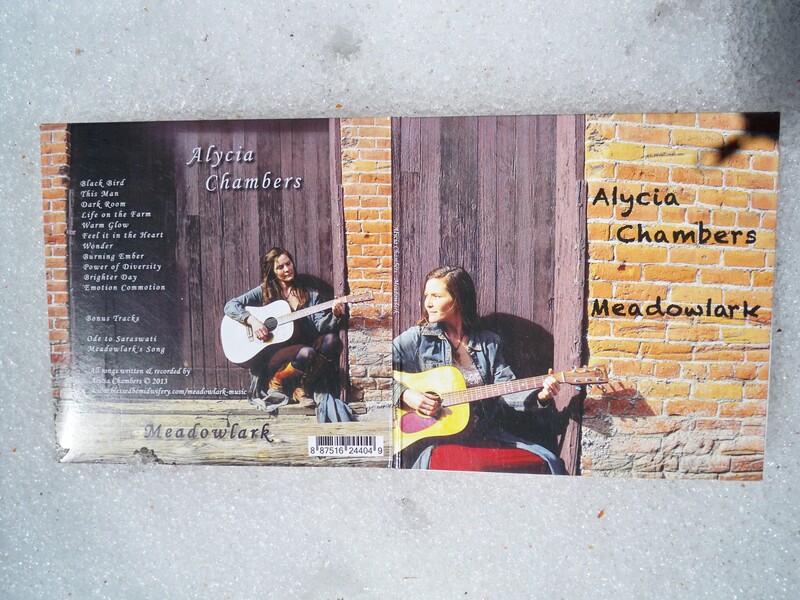 # 508 Crestone CO 81131. Also available for purchase at Amazon.com (Kindle Version also available) or Barnes & Noble. Help the book succeed! Go to your local independent book store and ask them to order the book! Thanks! Earth Knack: Stone Age Skills for the 21st Century by Robin and Bart Blankenship. 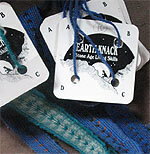 Earth Knack is a comprehensive how-to book for learning and using Stone Age skills to fulfill your daily needs…Anyone who tries these ideas will find them environmentally appropriate and uniquely fulfilling. …”Besides being an inexhaustible treasure-house of ancient lore, Earth Knack provides a heartwarming heave-ho to the arrogant notion that technology is something we invented”. – Daniel Quinn, author of Ishmael and Story of B. …”Earth Knack is the first book since Outdoor Survival Skills to redirect popular culture to a renewed sense of belonging to the land. (Earth Knack) calls attention to the fact that woods lore is alive and well and holds a legitimate place in (21st century) outdoor education.” – David Wescott, past director of Boulder Outdoor Survival School and managing editor of The Society of Primitive Technology. Send a money order or check made payable to Robin Blankenship for $20.95 (includes shipping) to: Robin Blankenship P.O. # 508 Crestone CO 81131. Also available for purchase at Amazon.com (Kindle Version also available) or Barnes & Noble. Help the book succeed! Go to your local independent book store and ask them to order the book! Thanks! 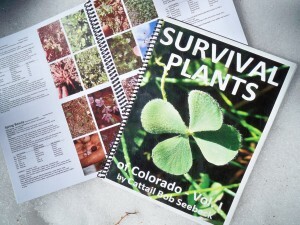 Cattail Bob Seebeck has the most useful wild edible and herb book of the Colorado Rockies region: Survival Plants of Colorado. His unique compilation of pictures showing a plant in seasonal stages is brilliant! 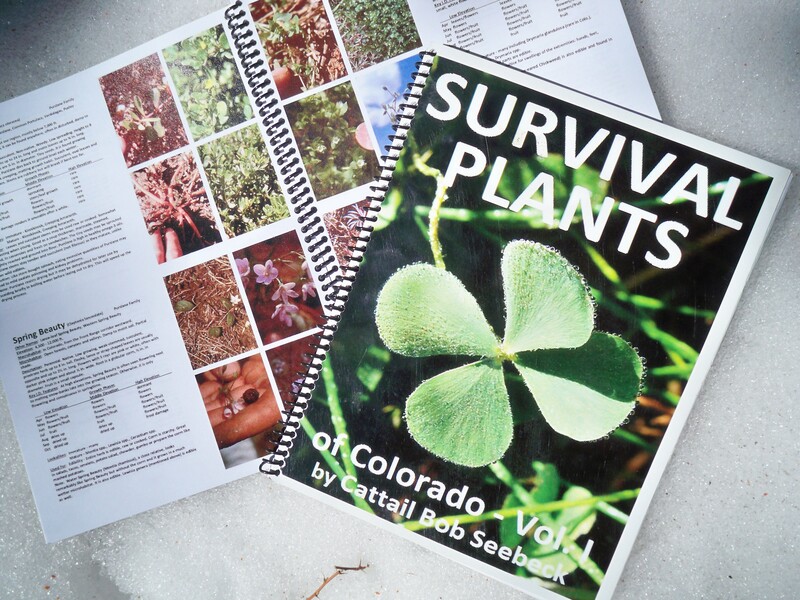 To order your copy, contact Cattail directly at cattailbob@gmail.com or purchase a copy in person at the Earth Knack Art-N-Facts store at the school site. 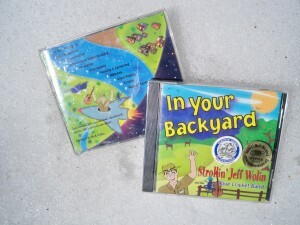 Strollin’ Jeff Wolin and the Blue Cricket Band CD In Your Backyard, won the Children’s Web Award in 2003 and is recommended by the Parent’s Choice Foundation. 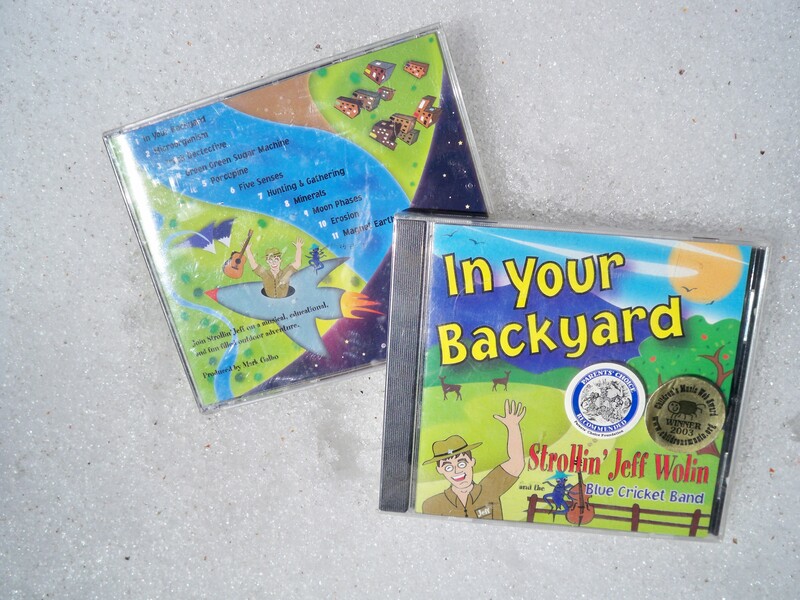 To order your copy contact Ranger Jeff directly at jawolin18@gmail.com or purchase a copy in person at the Earth Knack Art-N-Facts store at the school site.